More than 30 women from Malgaon, Chhattisgarh, participated in a two-day training on the preparation of laddus, a traditional Indian sweet, from 9th to 10th of March. The laddus were made out of mahua, which is a huge fruit tree abundantly found in the village. 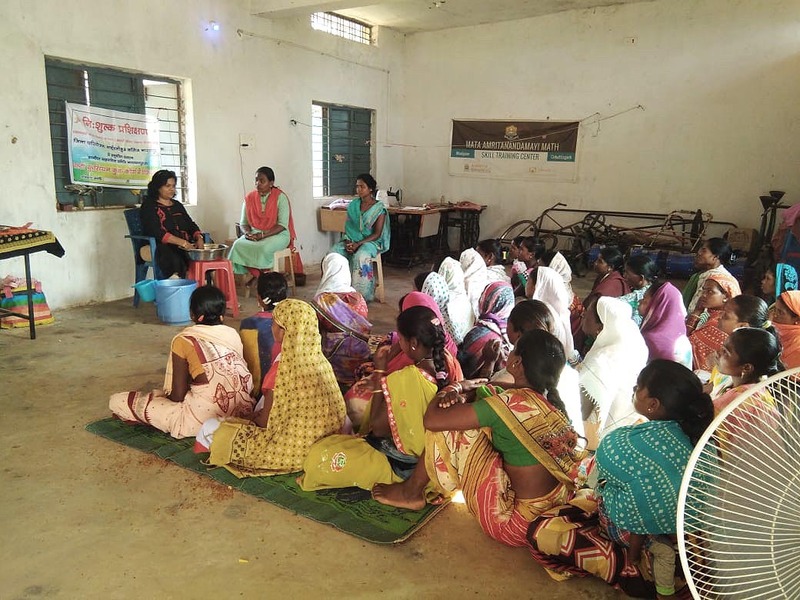 The training was organized by Ghanshyam Upadhyaya, Amrita SeRVe’s agricultural program officer, who invited Sandhya Sukla from Narayanpur Livelihood College to conduct tutorials. The SHG women learned recipes demonstrated by Sandhya Sukla. She also explained how to collect, wash and dry the mahua fruits before producing laddus. These delicious sweets can be sold in the market. The training was first step for SHG women in Malgaon to start income generation together. Its medicinal properties; every part of the plant is used for Ayurveda treatments. Controlling erosion: mahua tree has a large spreading superficial root system that holds soil together. Is widely growing in North India.